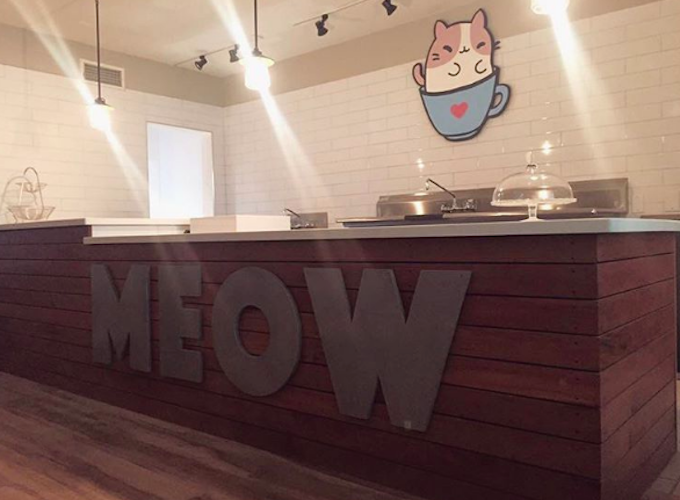 Cat cafes are everywhere these days. 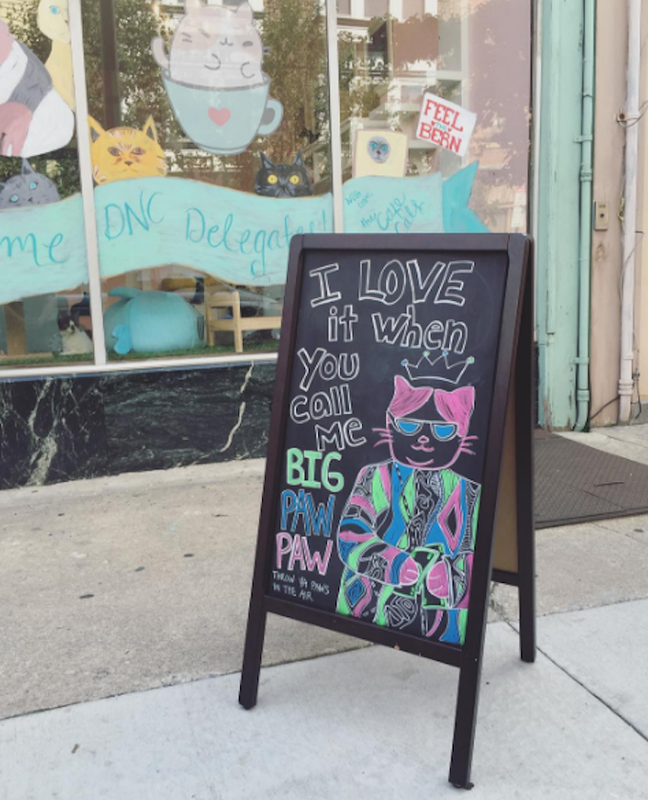 That’s cool and everything — after all, more cats and more coffee is clearly a very good thing for everyone concerned — but most of the places seem to stick to a cookie cutter formula when it comes to the way they’re designed. 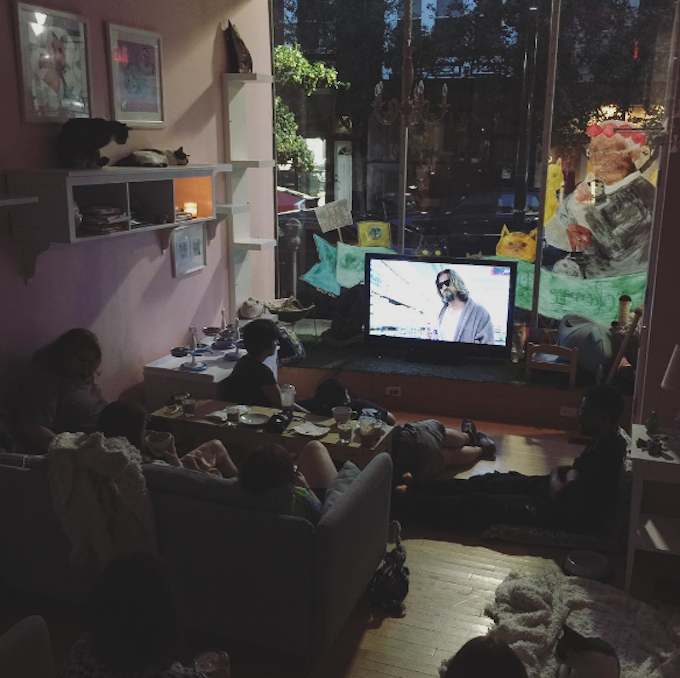 Not so with the Kawaii Kitty Cafe in Philadelphia. This vividly-colored beacon of adoptable kittenness takes the standard concept and turns it into something that looks like a living version of a Hello Kitty cartoon. 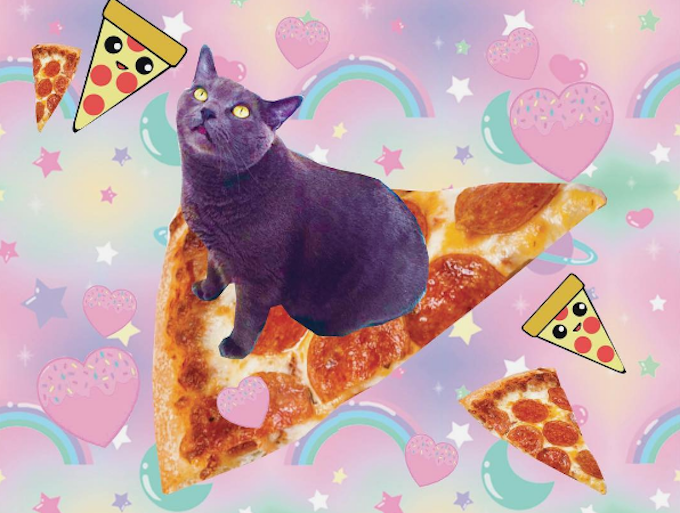 Here are nine reasons why the Kawaii Kitty Cafe rocks. First up, get ready for a blast of technicolored eye-candy when you check out the Kawaii Kitty Cafe’s interior. 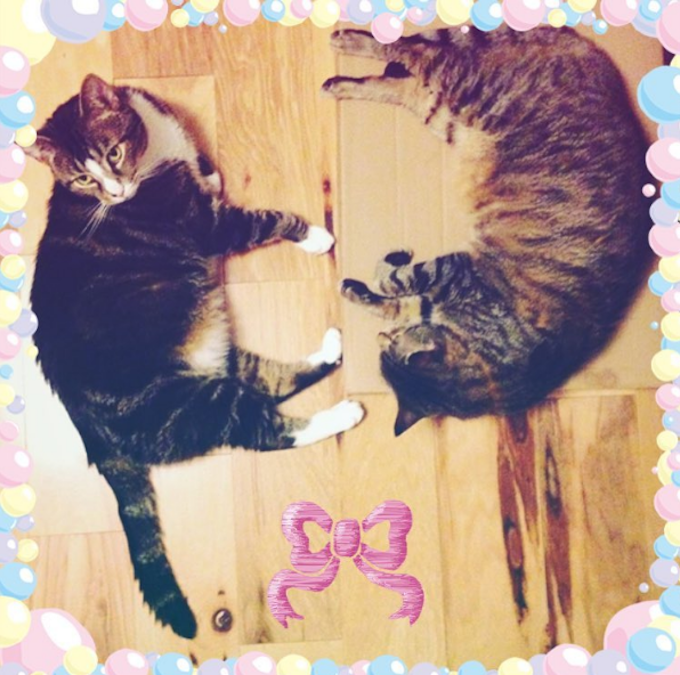 Hand-painted wooden blocks fashioned into feline-related shapes by local artists adorn the pink and white striped walls, while the resident cats get to lounge on pastel-hued furniture pepped up with anime-styled pillows. Plush life! You will not come across a better named selection of adoptable kitties than the Kawaii Kitty Cafe’s clowder. Get ready to make friends with Miss Cake, Professor Pizza (pictured above in his natural element), Daniel Day-Mewis, and the incomparable Mr. Ravioli. 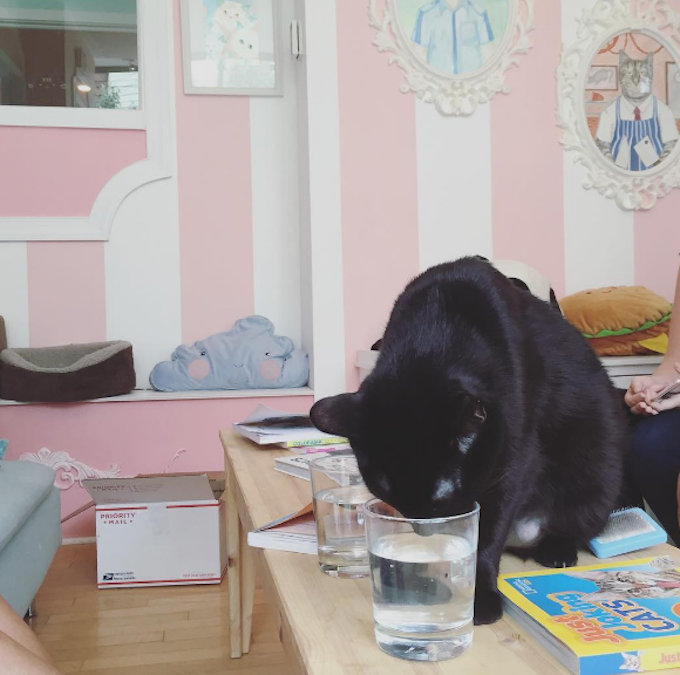 This one’s straight from the tabloids: Kawaii Kitty Cafe icon Miss Cake is currently involved in a very heated (and possibly misjudged) love affair with Lil BUB. 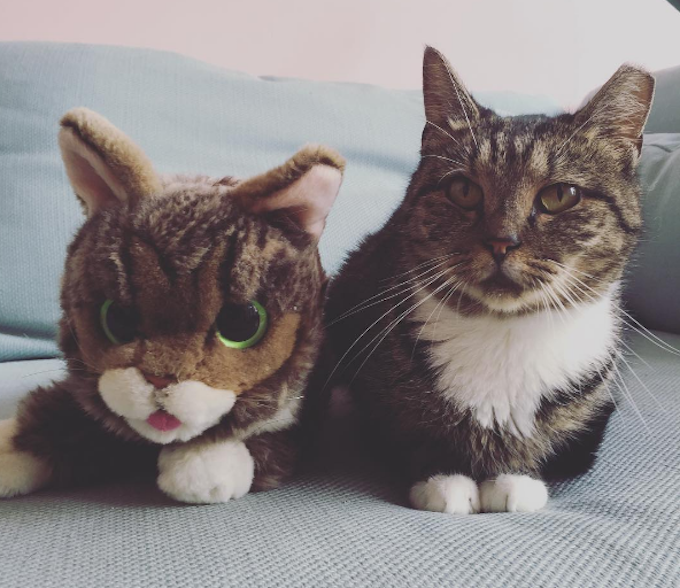 Well, a stuffed replica of Lil BUB. Kitty love can indeed be blind. Oh, did we mention that the area of the cafe where humans can order coffee and snacks comes complete with giant cut-out artwork of a cat sitting in a teacup? 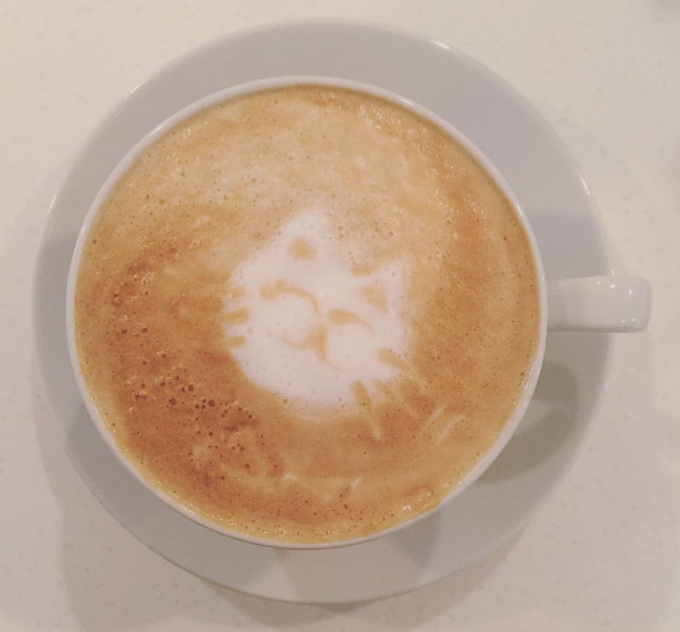 Also, cappuccinos with cats etched in the froth exist! Oh, and please let those two curmudgeonly cats watching from the balcony be called Statler and Waldorf. 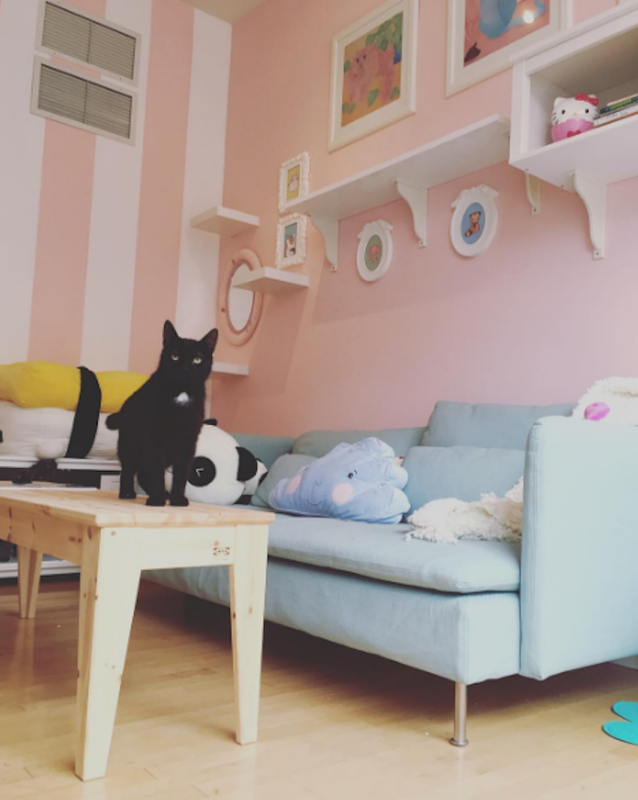 Beyond entertaining fans and visitors, the Kawaii Kitty Cafe’s eye-catching design and social media profile seems to be proving very effective at actually getting the cats adopted. Recent residents who’ve moved on to forever homes include Mr. Ravioli (pictured above with his new play pal, Elliot), Wes Mantooth, and the curiously-named Jub Jub.